These days we’re surrounded by screens. Whether it’s our laptops, our tablets, or our phones, we’re looking at screens for huge proportions of our day. And they’re no longer exclusively used at work, having come to dominate our leisure time as well. None of that will come as a surprise. However, did you know that these screens are usually tinted blue? And that research has shown time and time again that blue light stops us from getting a good night’s sleep? Here are two tips to reduce the amount of blue light you’re exposed to around bed time. You can very easily limit the amount of blue light coming from your devices. Apple have just released the latest version of their software for iPhones and iPads which contains a great new feature called Night Shift. If you use an iPhone or iPad I recommend you install it straight away – it could make a huge difference! Simply go to Settings / Display & Brightness, and set it to turn on at a certain time of the evening. The screen will then be set to reduce the amount of blue light it uses. If you’re using an Android phone, a PC or a Mac, you don’t have to miss out – I recommend a great bit of free software called f.lux, which does just the same thing. No software solution is perfect, and so I recommend storing your phone outside your bedroom at night, and not checking it for an hour before bed. When I started this recently, it was a little inconvenient because it meant that when it was my turn to wake up and feed our baby daughter Phoebe at 1am or 2am, I would have to go out into the hallway (disoriented from just having woken up) to retrieve my phone, to provide the light by which I would get the milk (from the bedroom). Not what I wanted to do in the middle of the night, but it’s been worth it. 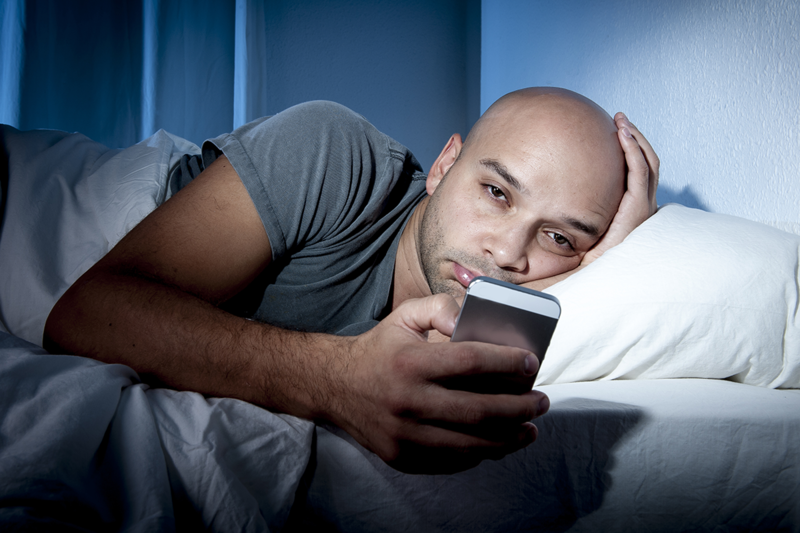 I have noticed the increase in sleep quality from not interacting with my phone around bed time. I would have done this sooner, but I had been giving myself the excuse of using my phone as an alarm clock. This wasn’t really a good excuse! Do what I did and buy and alarm clock that has no Wifi or Bluetooth connectivity, such as the Lexon Flip (UK or US). You could also try this as part of the 10-3-2-1-0 formula – no caffeine 10 hours before bed, no food 3 hours before, no work 2 hours before, and no screen time 1 hour before. Read more about it here. On top of these tips, why not dig further and find out your sleep score in 30 seconds and sleep profile in five minutes? Visit the following website and take the test. If you try these tips, let me know how you get on in the comments!